Over the last couple of weeks and through the next month or so, I’ll be posting interviews with the authors and poets who will be taking part in our Book Fair: http://www.narberthbookfair.co.uk/. There are forty of us so, obviously, there are many genres for both adults and children. There will be talks an writing and books, creative writing workshops for adults and fun workshops for children, activities for the children and a fun book trail through Narberth, the gorgeous little market town in Pembrokeshire. Today it’s the turn of children’s writer, Katy Wateva, sometimes known as Katy Maddison. Please tell us, Katy, why do you write? To clear out my head, to try make sense of everything. It helps me understand the world better. Nearly every book has influenced me in some way. I have written around 15 books. One of my favourites is ‘The Wild Boy’. ‘The Brattiest Birthday Girl’ is about Joy, and the big tantrum she has when she doesn’t like the gifts she gets on her birthday. It’s ok to have a strop every now and again, we all get over it and can laugh at ourselves in the end. The first page; “This is Joy” accompanied by a close up of Joy looking anything but. What was the inspiration behind The Brattiest Birthday Girl? Last year I got really upset when I didn’t like the presents my boyfriend had got me. The first draft was written an hour later. How long did it take you to write The Brattiest Birthday Girl? In the first draft, my characters used to swear a lot, because I knew no one was going to read them. What do you like to do when you’re not writing? Drawing. I swear so many amusing things have happened to me but I can’t remember one of them! Over the next few weeks I’ll be posting interviews with the authors who will be taking part in our Book Fair: http://www.narberthbookfair.co.uk/. So, all the formalities now set out, I’ll be chatting with everyone week by week. Our next author is Juliet Greenwood. Juliet’s is rather a longer post than the others as I’ve also incorporated her #familysaga interview afterwards. Both fascinating so I’m sure you’ll enjoy them. My most memorable pilgrimage was going to Howarth to the Bronte Museum. I went first as a teenager, when I’d first discovered ‘Jane Eyre’ and ‘The Tenant of Wildfell Hall’. It was fascinating to see where the sisters lived and worked, and I was amazed at the smallness of their dresses. The things I loved best were the tiny little books they’d written as children. I was creating books myself at the time, not nearly as tiny, and it was great to see that that was how my idols had begun their literary career! The thing I remember most, though, is the graveyard, and the sounds and the atmosphere. When I was older, I walked the Pennine Way with friends. We reached Top Withens in the morning, swathed in mist, and sat and had breakfast in the ruins. That was definitely one of the most atmospheric mornings I’ve ever experienced. Writing is the best buzz ever – but also the most exhausting. I find it’s always hard to get into, the temptation to go into the garden instead (or even clean the house) is overwhelming. But once I get into the story, my mind begins to fizz. Ideas come from all over the place and I can hardly keep up with writing them down. I hate stopping. I find the mind keeps on going, racing away, working at knots in the plot, so I’m always grabbing a pen in the middle of cooking, or meeting friends, or even emerging from the shower, to write things down before I forget. Then, just as suddenly, I crash. If I’ve managed to have several hours at the book, the brain goes to mush, just about up to Masterchef (seriously surreal for a life-long vegetarian), but very little else. But I find flickers of ideas are usually still working in the background, as knots in the plot can miraculously be resolved (usually in the middle of the night – I have notebooks all over the place). I think the most common trap is thinking the book is finished. When I started, I realised the story had to go through several drafts, but it wasn’t until I first worked with an editor that I realised this isn’t just tinkering, and you need to be prepared to throw anything and everything out if it isn’t working. It gets less drastic as you become more experienced, but all books are worked on again and again, and again and again – and then the real editing process begins. I love the editing process, it’s when the book really comes together, but I never would have believed it is such hard work, and that I would loath the sight of the book by the end, as well as loving it for being the best it could possibly be. Like all good things, the art of writing a book is mostly hidden. Finishing a novel is definitely the hardest thing I’ve ever done. I think you need a big ego to give you faith that you can write a book and that someone else will want to read it, but also none at all in order to take criticism and, in the end, put your ego aside to work in the best interests of your novel. When it comes to publicity, you need to be generous and help others and not expect them to help you for nothing. There’s nothing worse than someone on Twitter shouting ‘buy my book!’ and nothing else. And even worse is the one who, the moment you follow them, direct messages you to demand you retweet their book, without so much as a hint they might return the favour. That kind of ego is its own worst enemy – especially as most writers are really supportive of each other and great at returning favours. I do write under a pseudonym as well as under my own name. I really enjoy the freedom ‘Heather Pardoe’ gives me when I’m writing for magazines. She was how I was first published, so I’m very proud of her – even if she does tend to slope off to a beach in Barbados for long periods while Juliet Greenwood is stuck at home working her socks off! I try to write the kind of book I know readers love, but put my own slant on it. I write historical family sagas and timeshifts, usually focussed around a big old house and a family secret. I have a fascination with the lives of ordinary women in the past, who were often far more active and in control of their lives than history remembers them (if they are remembered at all). I tend to set an intensely personal story against a historical background. ‘We That are Left’ is set in WW1, but focuses on the experience of women working on the front line, as well as those keeping life going at home, and on the changes that made to their self-conception and expectations, as well as the tragedy of war. In ‘The White Camellia’, the story of one of the first women photojournalists is set against the long struggle of the suffrage movement, and the beginnings of the suffragettes, and the struggle for equal pay and the rights for women to have control over their lives and their money, as well as for the vote. It made me approach the whole process with much more professionalism. It made me see that if I was going to be serious about this, I wasn’t just writing for myself, but to entertain and move readers. The first draft is always for myself – that’s okay, it’s a total mess and no one is going to read it. But from then on, I need to consider the needs of the reader, how they will see things, and what they need from a book, in order to make it at all publishable. That doesn’t mean compromising – it’s means more skill and more ingenuity, and being able to listen to others’ opinions – especially those with far more experience! Buying my original computer. A very long time ago. It was a really difficult decision as I didn’t have much money, and it took a month’s wages. You’d fall about laughing at it now, but it changed my writing life. The miracle of not having to use a typewriter! And there were rumours of this strange new thing called the Internet. Little did I know how much that would change my writing life too, as well as allowing me to work freelance to support my writing. Loads! I read somewhere that an unpublished writer (and more than one ‘overnight success’) has about ten unpublished manuscripts lurking in a drawer. That’s about right for me. They aren’t all languishing. Some have become the basis of other books, and others the basis for serials I’ve written for magazines. Others are waiting for their time to come – while others (usually the early ones) will never, ever, see the light of day! Enchanting your readers, while writing what you love to write. And being able to earn enough money from your writing to live on, so you don’t have to try and squeeze writing and marketing in between the day job. Not zillions. Just enough to concentrate on the writing. The day job! Mind you, working as a freelance academic proofreader does help my language skills and makes me super critical of my own manuscripts. I enjoy it, especially seeing the world from the point of view of students as far afield as China and Saudi Arabia, but I’d love to have the time to concentrate on my own work. One day …. Approximately a year. I write the first draft in a mad rush, then, once I know my characters and the story, the real work begins. I’m usually thinking about the next one by the time I’m finishing the current one ready to go off to my editor. I spend a couple of weeks making the house look presentable again, then I’m off. It’s a never-ending process, and I wouldn’t have it any other way. businesswoman. It seems she has the world at her feet. everything she has fought so hard to become. and the enduring power of true love. I write because I have to – I get itchy fingers and can’t settle unless I get my regular ‘fix’ of writing. I love the transformation of the original idea into the final book, and the many stages it goes through to get there. As new characters arise as the story develops, the book so often goes in entirely unexpected directions, so it becomes a voyage of discovery. I also love the final editing, when it all finally comes together – even though by that time I’m usually sick of the book, and have to fall in love with it all over again when I see it in print! I always think my characters come purely from my imagination, but I think they really tend to come from an amalgamation of many people I have known, which then create a unique individual. It would be Millicent Fawcett, the leader of the suffrage movement in the UK. Although she is being honoured as the first woman to have a statue in Parliament Square, she has been overshadowed by the Pankhursts and the suffragettes. She was an amazing woman, who, despite having no legal existence, successfully out-witted the male politicians. She won many rights we take for granted today and began the fight for equal pay for equal work. We owe her a huge debt, not least for ensuring that the UK parliament voted twice for women to have the vote. It also explains the anger and the violence of the suffragettes, which was due to the democratic process being overturned. I’ve written four books, three for Honno Press, and three magazine serials. My favourite book is always the one I’ve just finished, because with each one I grow as a writer. But I’ll always have a soft spot for my first book for Honno, ‘Eden’s Garden’, because that was where my real journey as a writer began. I write historical fiction, set against the backdrop of the Victorian and Edwardian eras, usually involving a big old house, and family secrets, and women struggling to follow their own paths against the expectations of society. I’ve flirted with writing cosy crime, but I find I always come back to my own kind of book – although I’m always open to trying something new. 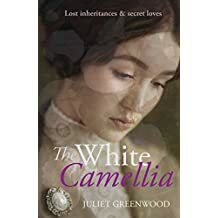 ‘The White Camellia’ is about a fading mansion in Edwardian Cornwall, and two very different women, whose families have been in a conflict that has led to tragedy. Both Bea and Sybil are increasingly haunted by a danger from the past, and have to decide whether to continue the family feud, or join forces. It’s a complex and entwined story about two brave, independent women and the men they love. 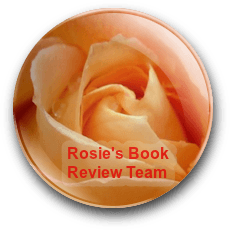 Although the men are there to support them, it is Bea and Sybil who have to make their own choices, and who finally do the rescuing, in a nail-biting climax, when unexpected truths are revealed. That revenge always has unexpected consequences, and self-forgiveness is the hardest lesson of all. The very last scene, which brings the story together – so I can’t say why! The characters always hijack the story. I’m in control for the first page of the first draft, but the moment the heroine requires a sister, friend, or even random passer-by, they’re off on their own path, and it’s anybody’s guess where we’ll end up. I just follow, bemused, feebly trying to keep them in order (unless they try to wander of into zombie territory, which my readers would not like at all, so then there’s trouble). I can make a pretty mean hand puppet with nothing more than a few bits of cloth and plenty of sequins (I used to do puppet story-telling workshops with children). A touch of dry humour in unexpected places. It happens in both books and serials. I can’t help myself. I love gardening, and walking my dog in the Welsh hills where I can also indulge my passion for photography. Before I had a dog, I rode a green lady’s bicycle, with three gears, all over Snowdonia. It didn’t half annoy the proper cyclists (especially as I unashamedly got off and walked at the slightest hill). 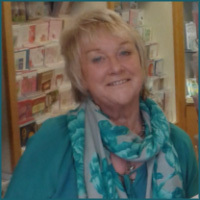 Juliet Greenwood is published by Honno Press. Her books are set in Wales, London, and Cornwall in Victorian and Edwardian times, and follow the lives of strong, independently-minded women struggling to find freedom and self-fulfilment. Her novels have reached #4 and #5 in the UK Amazon Kindle store, while ‘Eden’s Garden’ was a finalist for ‘The People’s Book Prize’. ‘We That are Left’ was completed with a Literature Wales Writers’ Bursary. She also writes serials and stories for magazines as ‘Heather Pardoe’. Juliet’s great grandmother worked as a nail maker in Lye Waste, near Birmingham in the Black Country, hammering nails while rocking the cradle with her foot. Juliet’s grandmother worked her way up to become a cook in a big country house. Their stories have left Juliet with a passion for history, and in particular for the experiences of women, so often overlooked or forgotten. Juliet lives in a traditional cottage in Snowdonia, and loves gardening and walking. Despite being halfway up a Welsh mountain, she grows delicious black grapes from a cutting from the Hampton Court vine. And, of course, there will be the chance to chat with all the authors and to pick their brains on all aspects of writing. Even to buy their books and have them personally signed. Having outgrown our previous venue we have been lucky to hire the Queens Hall: https://www.thequeenshall.org.uk/ who have been very generous in their support of the event. Although, five years ago, I started organising the book fairs on my own I was soon joined by Alex Martin: http://amzn.to/2hZCgt2 and Thorne Moore: http://bit.ly/2rc5qyA. Unfortunately Alex has moved on to pastures new (although is still a great supporter), so Thorne and I have been joined by Elizabeth Sleight. Elizabeth is involved in the charity we are supporting; The Harriet Davis Seaside Holiday Trust For Disabled Children: http://bit.ly/2sNyeKQ . So, all the formalities now set out, I’ll be chatting with everyone week by week. I thought I should start by introducing Thorne. But then realised I should answer a few of the questions I’ll be putting to the authors, myself. Here goes: This is a bit weird but hey-ho. Me: What do you love most about the writing process? Me: Are your characters based on real people or did they all come entirely from your imagination? Me: My characters are a mix of both real and imagined people. It’s the ability to transpose personalities, characteristics and the inevitable ‘oddities’ that we all have in one way or another that rounds out fascinating characters. Me: If you could write about anyone fiction/nonfiction who would you write about? Me: My sister. After a lifetime of knowing her, I’ve never been able to fathom out what makes her who she is. If I was going to write about her then I’d need to study her. It’s a forlorn hope; she’d not let me in. Me: What do you think makes a good story? Me: A good story grips from the first sentence to the last. There should be a great plot, good rounded characters, a believable sense of place for them to move around in and evocative phrasing. Not forgetting dialogue that really works for each character and is consistent. Not a lot to ask for, huh? Me: How many books have you written? Which is your favourite? Me: Eight, three of which will probably never be sent out into the world. My favourite is Pattern of Shadows for a few reasons: it took me years of research to make sure I had all the facts about the first German POW camp in the UK (based in a disused cotton mill) and the truth about life in that time towards the ending of the WW2, it brought back the memories of my childhood when my mother worked as a winder in a cotton mill and I would go there to wait for her after school. It was in this book that my favourite protagonist was born, Mary Howarth; I’ve now lived alongside her for ten years. And last but not least, it was this book that Honno: http://www.honno.co.uk/ accepted. I’d had stories in their anthologies published and I was thrilled when they accepted Pattern of Shadows. Me: What genre do you consider your books? Have you considered writing in another genre? Me: My books are family sagas. I love writing about the intricacies of relationships within families. I have to admit, (and I suspect most authors are the same) I am a people watcher. I think that the casual acceptance of one another within families can bring the best and the worst out in all of us; it’s fascinating to write about that potential. Me: Could you tell us a bit about your most recent book and why it is a must-read? Me: A Hundred Tiny Threads is the prequel to the trilogy.Once I’d written ‘The End’ on Living in the Shadows, the family wouldn’t leave me alone. I realised I wanted/needed to write about their origins. The protagonist, Winifred, is the mother of Mary Howarth. She’s a determined young woman eager for new experiences, for a life beyond the grocer’s shop counter ruled over by her domineering mother. When her friend Honora – an Irish girl, with the freedom to do as she pleases – drags Winifred along to a suffragette rally, she realises that there is more to life than the shop and her parents’ humdrum lives of work and grumbling. Bill Howarth, is Mary’s father, a man with a troubled childhood that echoes through his early adult life and the scars linger, affecting his work, his relationships and his health. The only light in his life comes from a chance meeting with Winifred, the girl he determines to make his wife. But does he? It’s an emotive novel set in Lancashire and Ireland during a time of social and political upheaval. I’d like to think it’s a must read for anyone who loves both family sagas and historical fiction. Me: Do your characters seem to hijack the story or do you feel like you have the reins of the story? Me: If you could spend time with a character from your book who would it be? And what would you do during that day? Since Pattern of Shadows was published I’ve been back to my roots to an event called YANKS ARE BACK IN SADDLEWORTH: http://bit.ly/2sN1661. This film was made around the group of villages that are known as Saddleworth in 1979. Yanks Back in Saddleworth is great fun. Everyone dresses up in Forties clothes or various uniforms of the British, German, American services of that era and there are so many things going on over the weekend; A Vera Lynne singer, A Churchill lookalike, forties fashion stalls, military memorabilia stalls, a dance, a procession with all kinds of military vehicles, a fly-past of WW2 warplanes. As Pattern of Shadows is set during the forties I was invited along when it was first published and have been quite a few times since. I’m there again 6th/7th August this year. Oh, I’ve digressed – sorry Mary. After the film we’d have a slap up meal at one of the lovely restaurants around Saddleworth … and then, after such a long day it would be time to sleep for me. Mary would need to hurry to get back into the second of the trilogy, Changing Patterns. Me: When did you write your first book and how old were you? Me: I was eight. The book was called, The Death of the Teapot. My mother used to say all my childhood stories were gory (wonder what that shows?) The teapot fell off the table, broke its spout…and died. Nope; I’m an open book as they say. (Whoever they are!!) Though I am a dab hand at making novelty cakes… does that count as a talent… hmmm? Well, I don’t know is it’s interesting to anyone (it drives Husband mad!) I sometimes write all through the night. What I would really like to do would be to have a camper van and travel around the country. As it is, I read, walk along the lovely coastal paths around Pembrokeshire, sit and watch Husband gardening (and sometimes joining in with the boring jobs like weeding or mowing the lawns). Given chance I love clearing out clutter (opposed by said Husband – the hoarder). And I enjoy making up different creative writing exercises for my classes. I hated school. I was well into adulthood before I gained all my qualifications and was brave enough to start sending out my work. Well, that was fun… I think! Ashford, home of the Howarth family,is a gritty northern mill town, a community of no-nonsense Lancashire folk, who speak their minds and are quick to judge. But how many of them are hiding secrets that wouldn’t stand up to the scrutiny of others? There was one woman who I think was missed; a woman who, around her own kitchen table, started a charity which has gone from strength to strength in most countries, except the UK. Pat Cody started DES Action in 1971 (http://www.desaction.org/) after she learned that the daughters of women who took the anti-miscarriage drug during pregnancy developed cancer and reproductive problems. Pat had taken the drug while pregnant with her first daughter, Martha. Pat served as program director for the group and edited its newsletter. She passed away in September 2010. The mission of DES Action groups worldwide is to identify, educate, provide support to, and advocate for DES-exposed individuals as well as educate health care professionals. Diethylstilboestrol/ Stilboestrol(DES), a drug given to women for 30 years up to 1973, has been found to cause a rare form of vaginal and cervical cancer in some of the daughters of the women who took it, as well as fertility problems. Compensation of an estimated $1.5bn has been paid out in the US. In 1938, DES (Stilboestrol/ Diethylstilboestrol) was created by Charles Dodds. It was expected that his synthetic oestrogen would help prevent miscarriages. At the time it was not known how dangerous this drug would be to developing foetuses. Years later, he raised concerns about DES but by then very few in the medical field were listening. .In the early 1970s cases of a rare vaginal/cervical cancer were being diagnosed in young. Now researchers are investigating whether DES health issues are extending into the next generation, the so-called DES Grandchildren. As study results come in, there is growing evidence that this group has been adversely impacted by a drug prescribed to their grandmothers. I wrote an article for the UK based DES Action (folded a few years ago due to lack of funds and support ). Now DES Action USA help and advice anyone who contacts them. They have a website: http://www.desaction.org. The charity also has a newsletter, Voice, to which anyone interested can subscribe. I did a tremendous amount of research before I wrote the book. Pat Cody was generous enough to send me a copy of her own book: DES Voices, From Anger to Action:http://amzn.to/2hX2xtp and gave me permission to quote any part of her book. I was also allowed to quote the words of many of the women I contacted. I am constantly made aware of the lack of knowledge of Stilboestrol in this country. Whenever I begin to talk about the drug most people assume I am talking about Thalidomide. When I explain about the damage the drug has caused the response is almost always amazement and disgust that consecutive UK Government have been reluctant to help – or, I’m afraid, acknowledge, that the consequences of Stilboestrol continues. So there we have it; Pat Cody, founder member of DES Action, my choice for #WHPowerList.